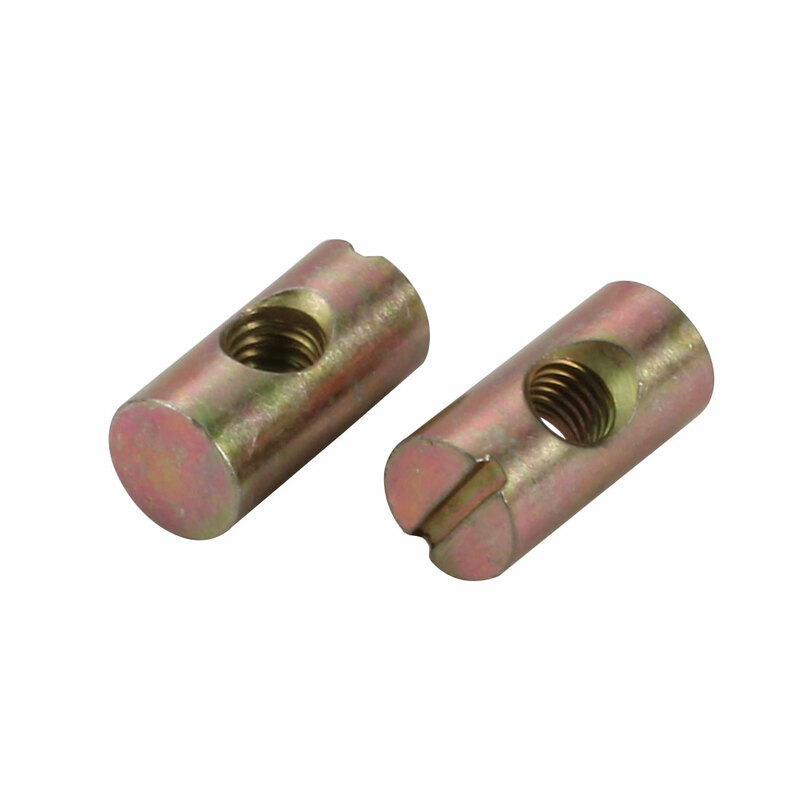 slotted drive cross dowel nuts. Good hardware accessory for assembling a bed, a table, chair, or a workbench, etc. For joining wood, boards, kitchen worktops, cabinets, cupboards and a variety of other DIY projects.